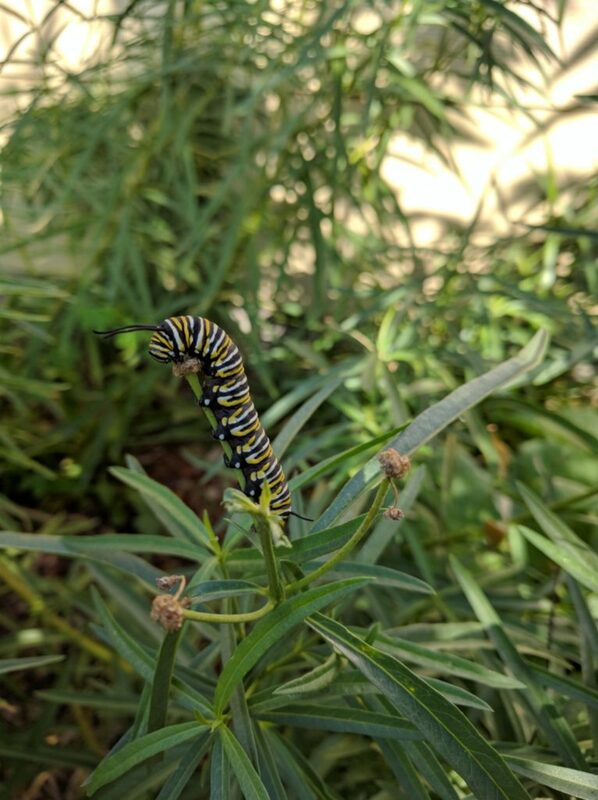 First sighting of monarch caterpillar on the milkweed we planted a year ago. At least I think that’s a monarch. Can anyone verify by the patterns?